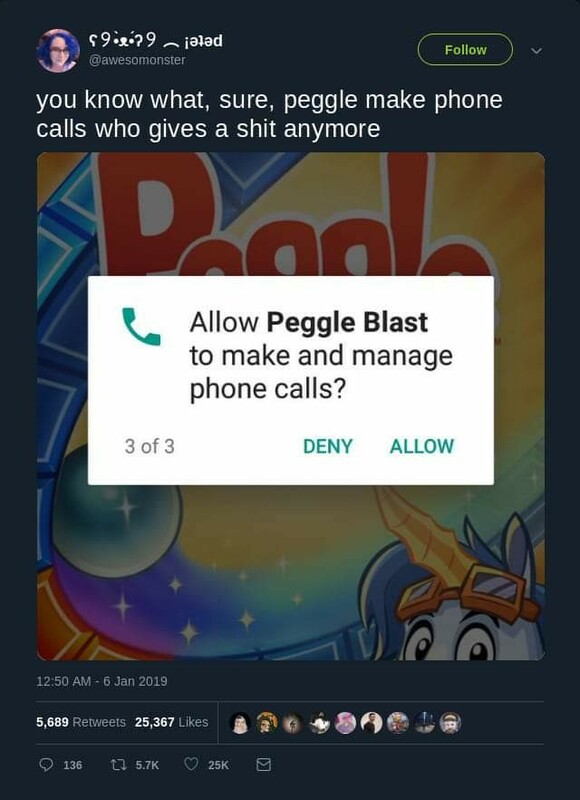 Share holders"So yeah, the the third quarter so far hasn't been going well i th-"
You "PEGGLE BLAST! You have been hit! Download the app to fight back!" @SuperApartmentFriends it seems like everything wants to make phone calls these days. Sometimes it's so it can call support (why isn't it just a hyper linked number? ), but I suspect they may need it to track you better.